Diana Fiore is general manager of The Shops at Northfield Stapleton, a 1.1-million-square-foot shopping center owned and operated by QIC Global Diversified Alternatives and located in the heart of Stapleton. In this role, Fiore oversees all Center operations, capital-expenditure projects, and manages a support staff-including maintenance, marketing, leasing, housekeeping and security. Diana is a driven and dedicated employee with over 18 years in the commercial real-estate industry. In 2014, Fiore rejoined the Northfield Stapleton management team to serve as general manager from her previous position as director of marketing for The Orchard Town Center in Westminster, Colorado. Fiore’s tenure also includes director of marketing for Northfield Stapleton and Antelope Valley Mall (Palmdale, California) and marketing coordinator at Galleria at Sunset (Las Vegas, Nevada). Having been in the restoration industry for over ten years, Jackie has earned numerous certifications, including those pertaining to Emergency Planning and Business Continuity. Jackie spends many hours working in the trenches on all types of property disasters, giving her great insight and experience to assist property personnel with developing individualized & comprehensive disaster/emergency response plans. Prior to entering the restoration industry, Jackie held positions in the public sector. She served as an elected member of Lakewood City Council from 2001-2005 and concurrently served as an appointee of Governor Owens to the Colorado Juvenile Parole Board. Jackie has also spent time working with non-profit organizations, having served as the Regional Development Director for Huntington’s Disease Society of America for two years. Jackie has been heavily involved with the Rocky Mountain Shopping Center Association since 2006 and was elected as President in November of 2010. Since that time, she has re-organized the association structure, developed a new mission statement and set of by-laws, along with organizing a new Board of Directors. When Jackie is not knee-deep in flood waters, she can be found fishing in the river, enjoying a day on the golf course or sometimes the occasional pheasant hunt. Her absolute favorite past-time is spending time with her family. She devotes as much time as possible to her children and her three adorable grand-children, but she can always be reached to attend to the most recent restoration emergency. If you haven’t met Jackie yet, just look for the “little red headed spit fire”, with a smile on her face at the next RMSCA event …that’s our Jackie Herbst. Dean has a Bachelors degree in Business from Augustana College, is a Marine Corps veteran and has worked for two Fortune 500 companies. He is a member of the 2014 class of Leadership Program of the Rockies. For the last 20 years he has been involved as a managing partner in shopping centers. He is a member of ICSC. Dean has also been active in the community, serving on public school boards for 15 years. He was appointed twice by Gov. Owens and once by Gov. Ritter to 3 terms as a founding board member and Vice Chair of the Charter School Institute of Colorado. He is currently in his 8th year on the Colorado Dept. of Education Charter School Support Initiative Team and his 4th year on the Colorado State Review Panel. He is V.P. for Metro Denver Pheasants Forever and is an avid outdoorsman. He lives with his wife, Cindy, in Arapahoe County. Their two sons have graduated from CSU with degrees in construction management and economics, respectively. Thomas Gendreau is the Operations Director for Washington Prime Group at the Town Center at Aurora. In his current role, Thomas directs, plans, manages and coordinates all activities concerned with operations of a 1.2 MMSF leasable retail asset for a Fortune 100 company. This includes departmental oversight, formulation and monitoring of budgets, planning and organization of all contracted services, as well as preparation and execution of capital expenditures. Thomas comes from a family of serial entrepreneurs based in Minneapolis. After graduating from Colorado State University, he opened his first company while working as a computer technician. Tom has started, developed and sold several independent small businesses from office cleaning, retail franchising and a mobile container storage company. Thomas has been a member of the RMSCA since 2015. Kelly is a ServiceStar Property Management Senior Property Manager who currently oversees property management at Eagle’s Nest Village Center and Foxfield Village Center. 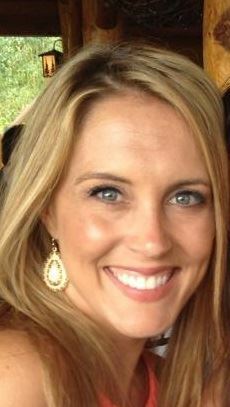 Kelly specializes in overseeing operational quality at Denver-based retail properties. Driving value enhancement for properties, Kelly set high standards for quality, budget management, CAM oversight, facility maintenance, tenant relations, accounting practices and financial reporting. A dedicated leader, Kelly has the ability to solve problems, manage relationships and shepherd valuable assets and the achievement of owner goals. In addition to a proven, successful property management track record, Kelly has experience in both retail and hospitality operations leadership which provides her with a unique retailer perspective that is appreciated by tenants. Kelly also successfully installed Yardi, a real estate financial and management software program to help with the accounting responsibilities of the above named centers. Additionally, Kelly is an active member of ICSC and is a Board Member of the Rocky Mountain Shopping Center Association where she serves as Treasurer. Melissa is responsible for Business Development at All Phase Restoration and specializes in partnering with large commercial assets by providing excellent customer service in the emergency restoration services as well as capital improvement projects throughout the Front Range. Within All Phase Restoration, Melissa arranges Continuing Education courses in a variety of categories including emergency fire/water/mold/asbestos abatement services as well as topics pertaining to large commercial capital improvement projects. Her passion is developing true relationships and professional partnerships within the community and All Phase Restoration has been a successful platform in those connections. Melissa was born and raised in Denver and received her Bachelor Degree in Communication Studies from Colorado State University. On her free time she enjoys exploring our beautiful state with her family and traveling to see new parts of the world. She has been a member of the Rocky Mountain Shopping Center Association since 2014 - serving on the board since early 2015, and looks forward to serving in the following years to come. Joyce Rocha, CMD, is director of marketing for Southlands Shopping Center, a 1.7-million-square-foot retail property owned and operated by Northwood Retail. It is located in southeast Aurora and is the largest retail property in the state. In her role, Rocha oversees all Center marketing activities including events, advertising, public relations, social media, promotions and a host of programs designed to drive traffic and sales to the center and the tenant population. expertise for centers in both Arizona and Colorado. Working closely within the communities that her centers have served, she has successfully forged relationships with City representatives, Chambers of Commerce and high-profile attractions. Serving on various Boards of Directors, Rocha has lent her voice and marketing knowledge to Arizona Shopping Center Association, Castle Rock Economic Development, Aurora Chamber Women In Business Executive Committee and Rocky Mountain Shopping Center Association. She is active in the International Council of Shopping Centers (ICSC) earning her CMD (Certified Marketing Director) designation in 2003. Year from the Aurora Chamber of Commerce. Matt Schovel is currently the Commercial Department Manager and Commercial Landscape Care Consultant atSavATree. 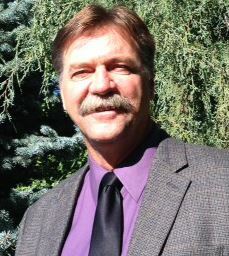 Matt moved to Colorado Springs from upstate New York in 1982 to study solar engineering. When tax incentives were removed by Congress and the solar industry declined he worked for and purchased a small local tree care business. He operated and grew businessuntil selling to national company, Davey Tree Experts. He began working for Swingle Lawn, Tree and Landscape Care in 2000 and quickly advanced to lead sales for the company. He became the first full time commercial sales representative for Swingle and works to expand commercial sales and development. Matt personally manages an annual portfolio and currently leads the commercial team with over $12 Million dollars in annual commercial revenue and business. Specialties: Sales training and speaking. Maintain existing client base and annual renewals. Experienced in municipal, construction, retail, office park and HOA RFP's and proposals. Since 2010 Matt has served as a member of the Rocky Mountain Shopping Center Board of Directors. Matt is the past Allied Chairman of Denver BOMA and currently serves on the Membership and Community Affairs Committees. He is also a member of IREM. Holds a Certified Arborist License from the International Society of Arboriculture and a Commercial Pesticide license from the Colorado Department of Agriculture. Past speaker at national sales training event for JP Horizons, he was named by Colorado Business Magazine as "Colorado's 25 Most Powerful Salespeople." Speaker at CAI conference, local park and recreation events, arbor day events throughout the Colorado Springs and Denver markets along with numerous HOA's.